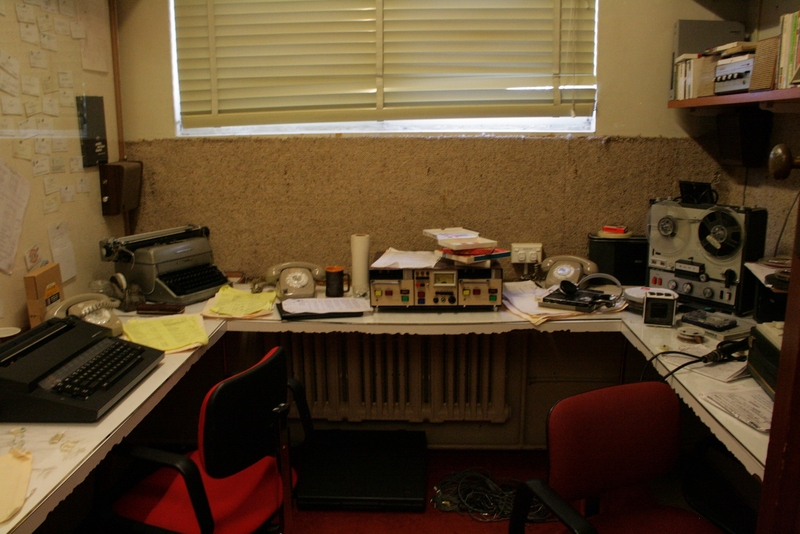 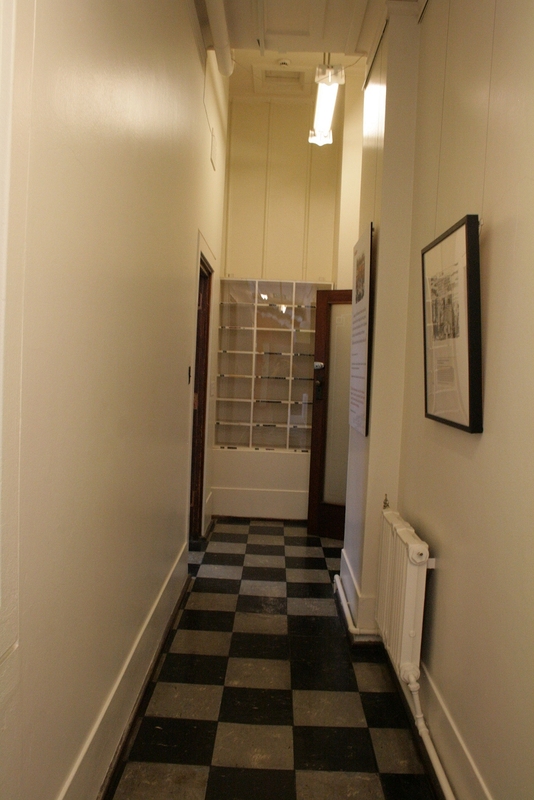 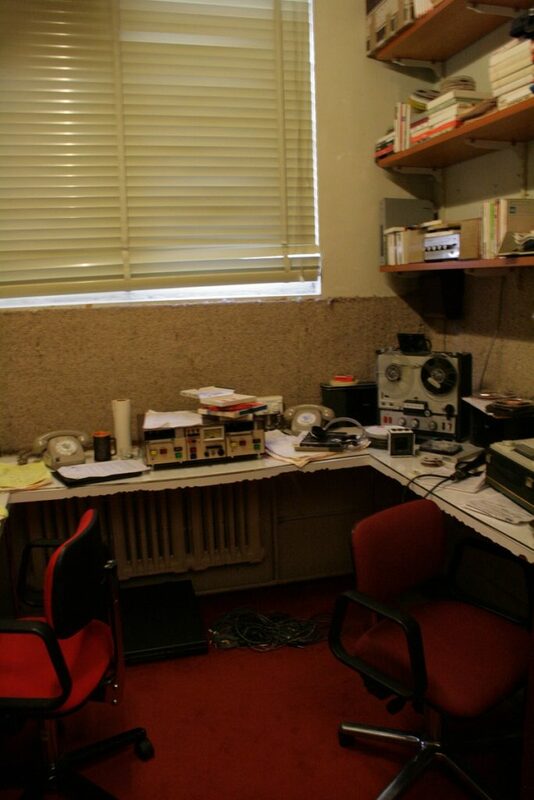 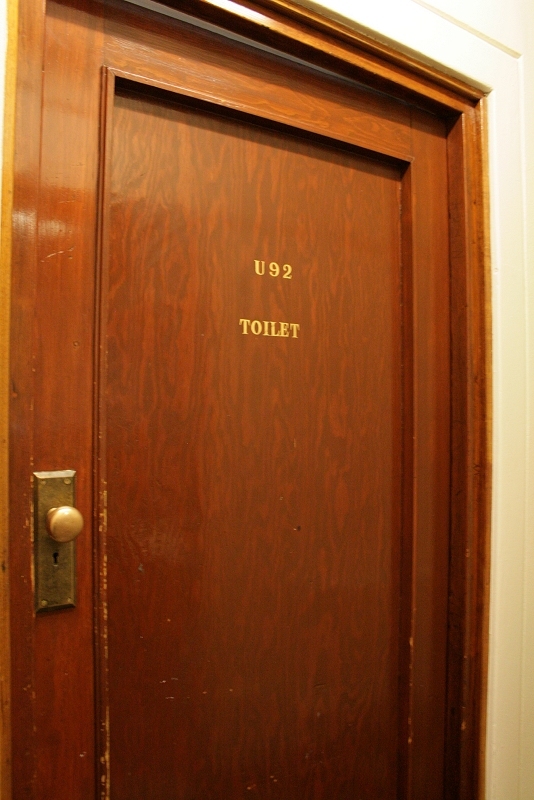 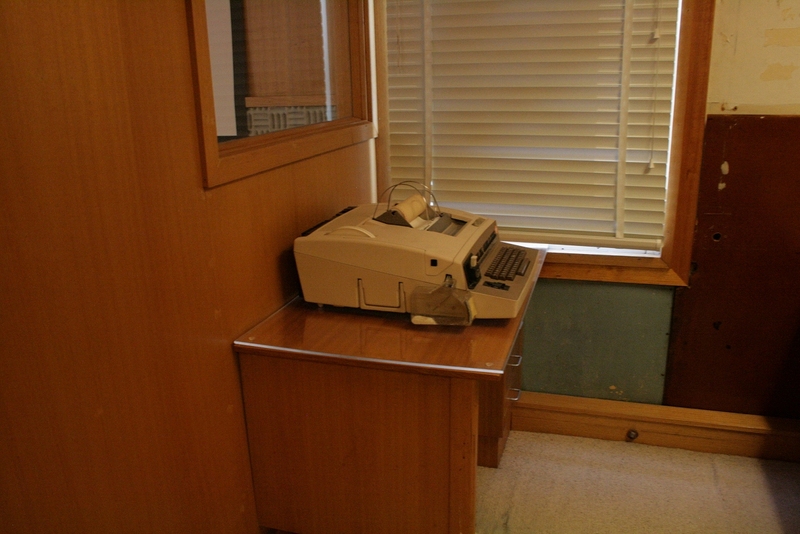 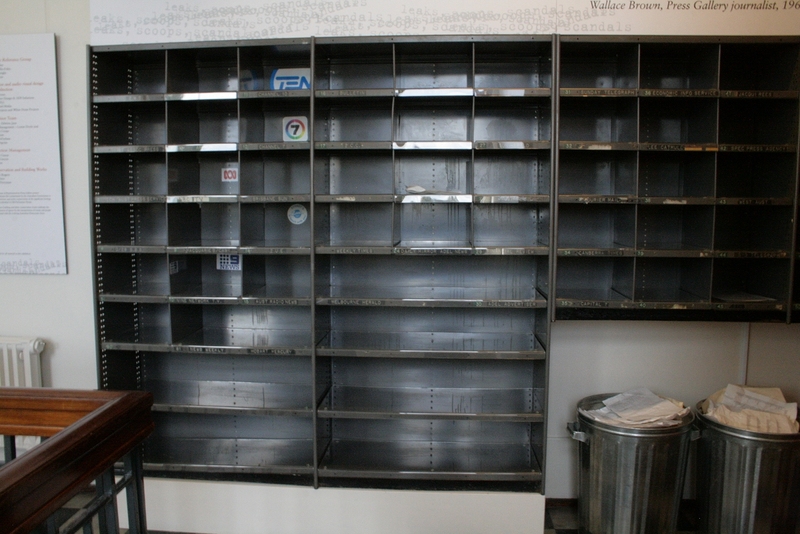 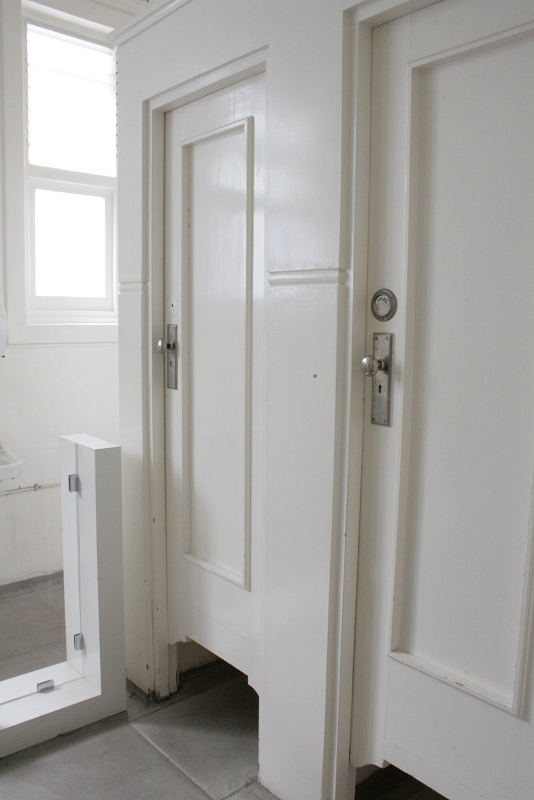 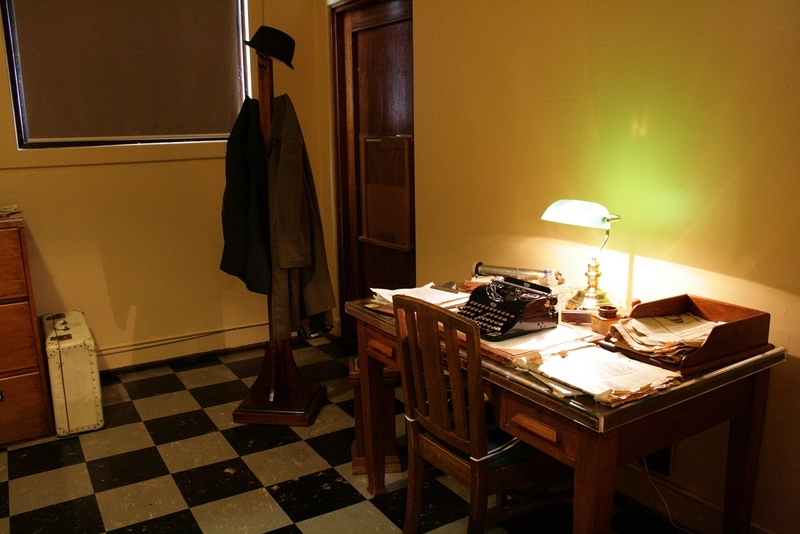 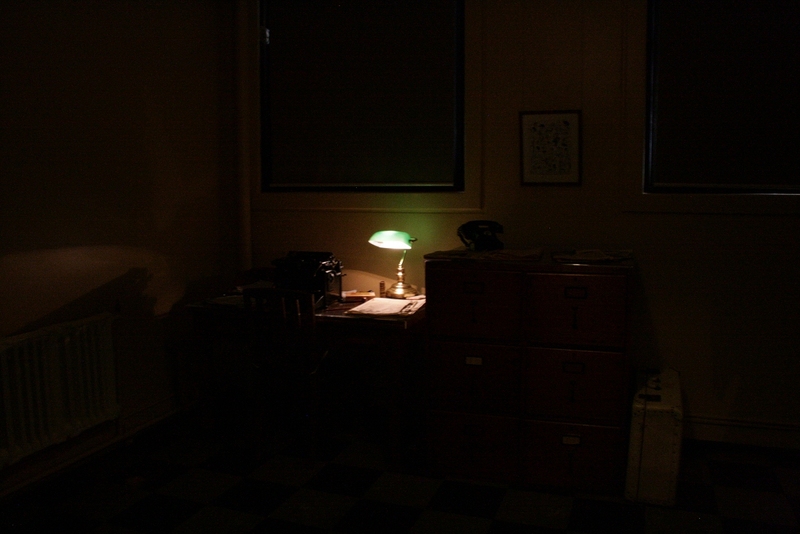 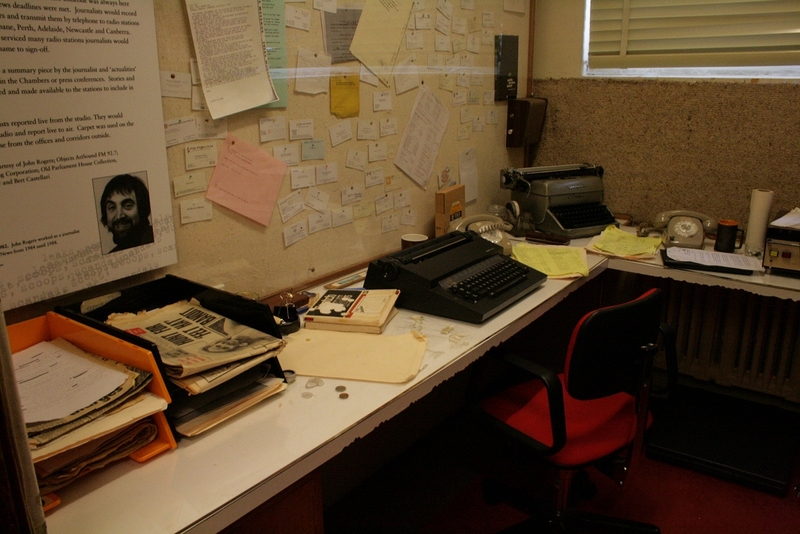 Teleprinter room, constructed in the early 1970s (that's what the sign on the "gate" says). 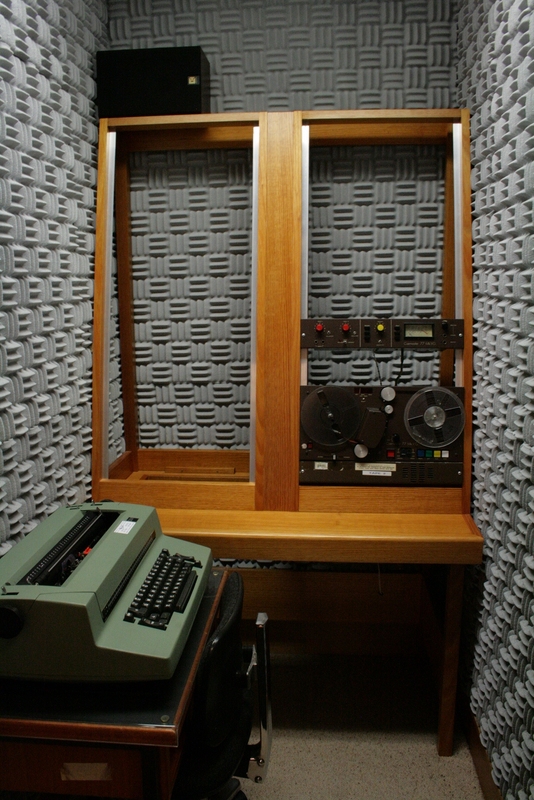 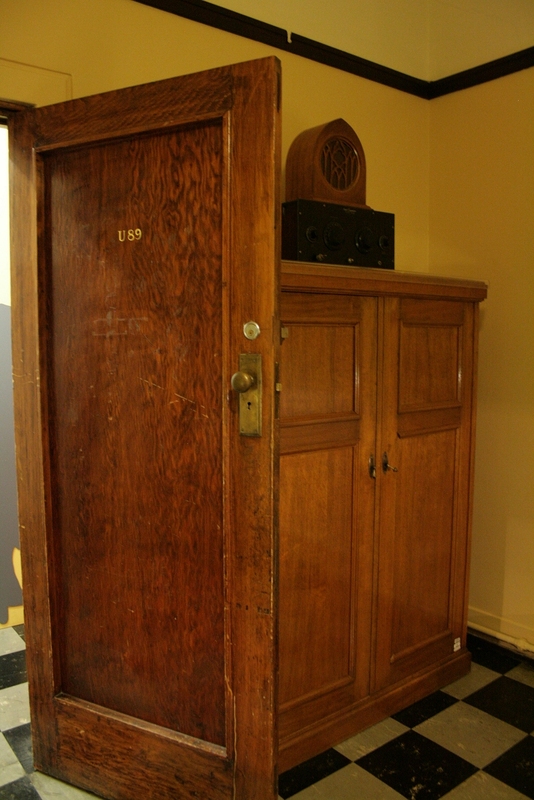 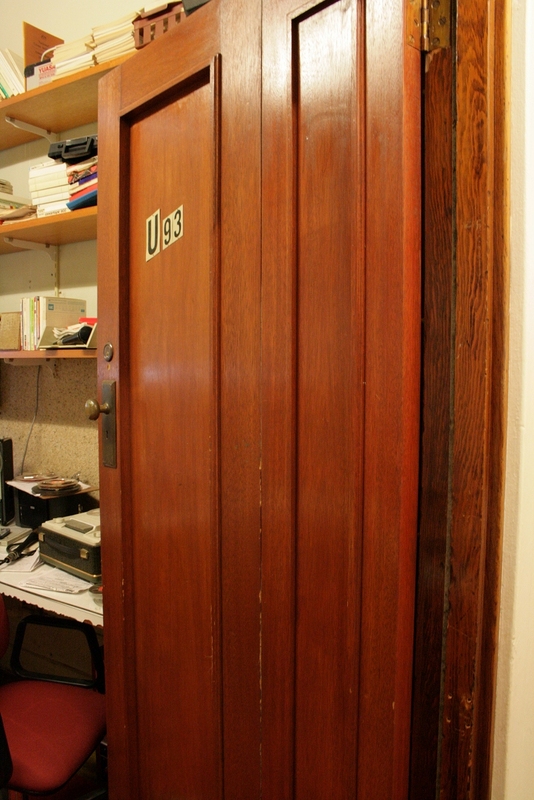 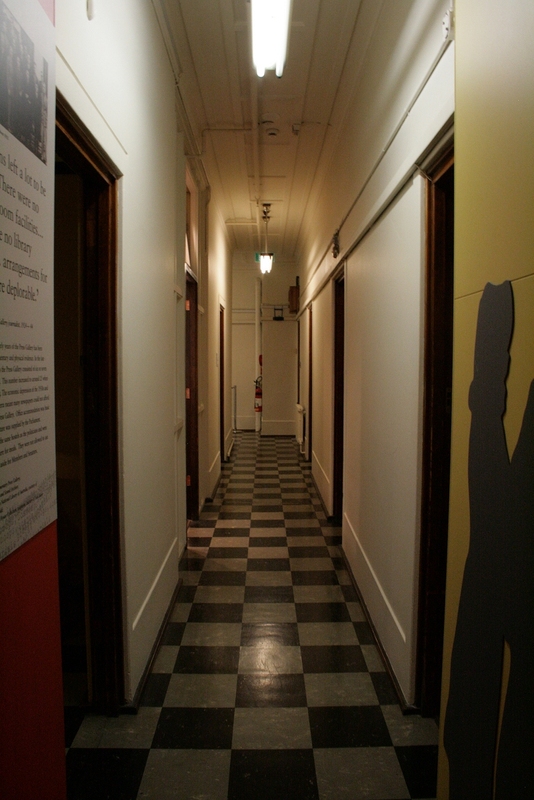 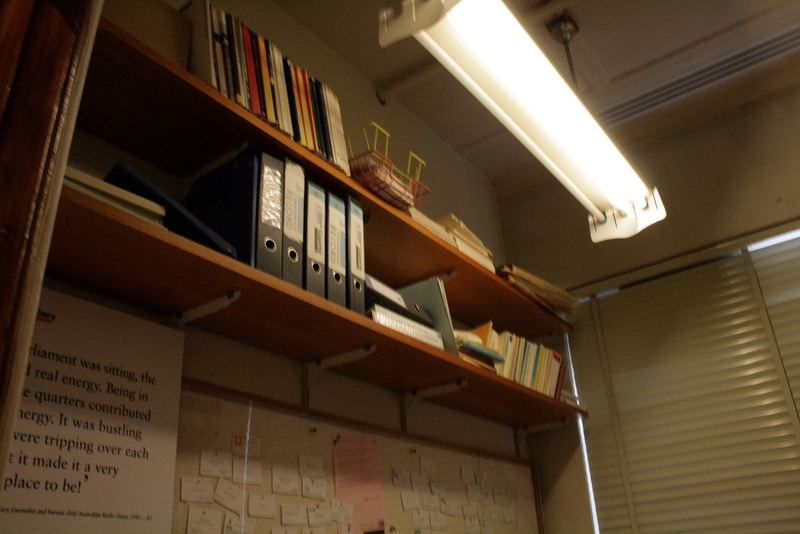 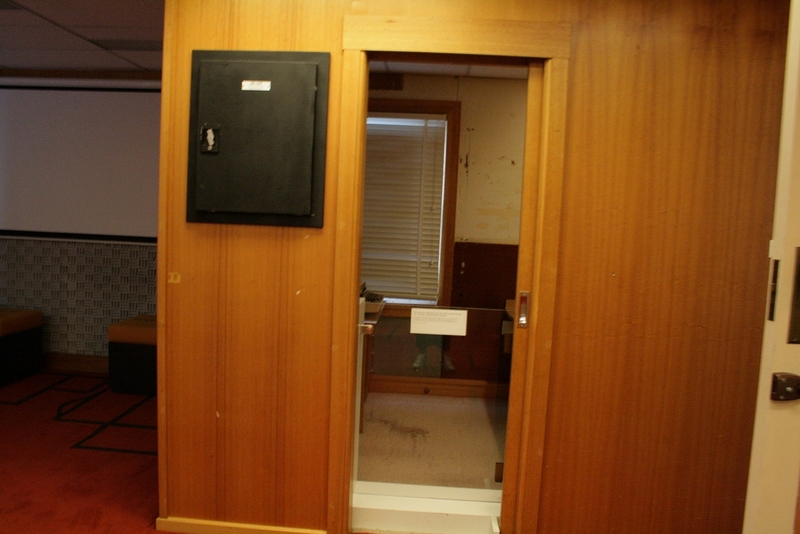 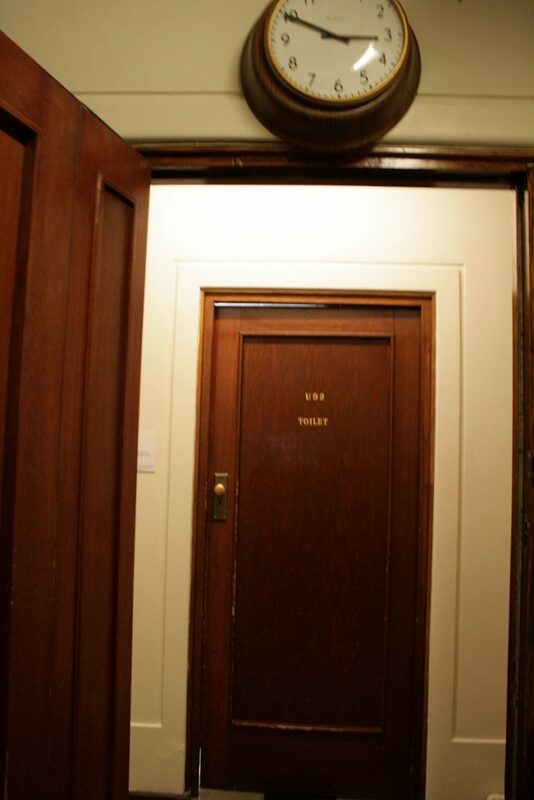 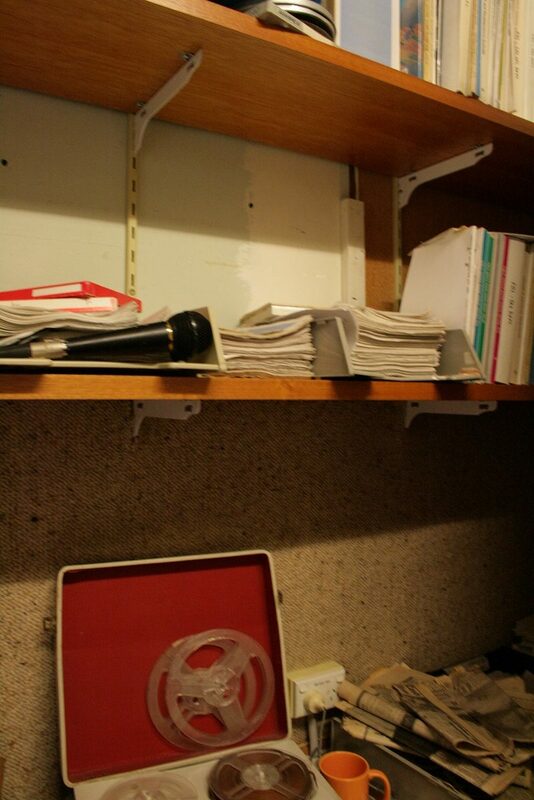 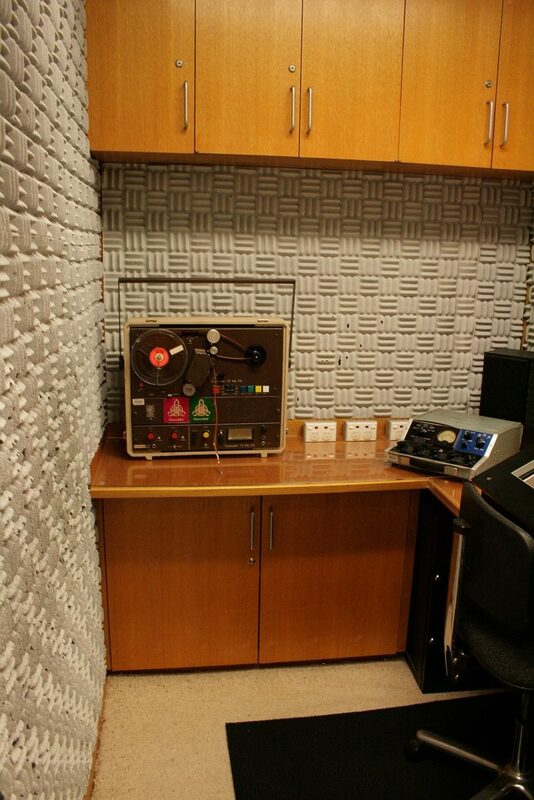 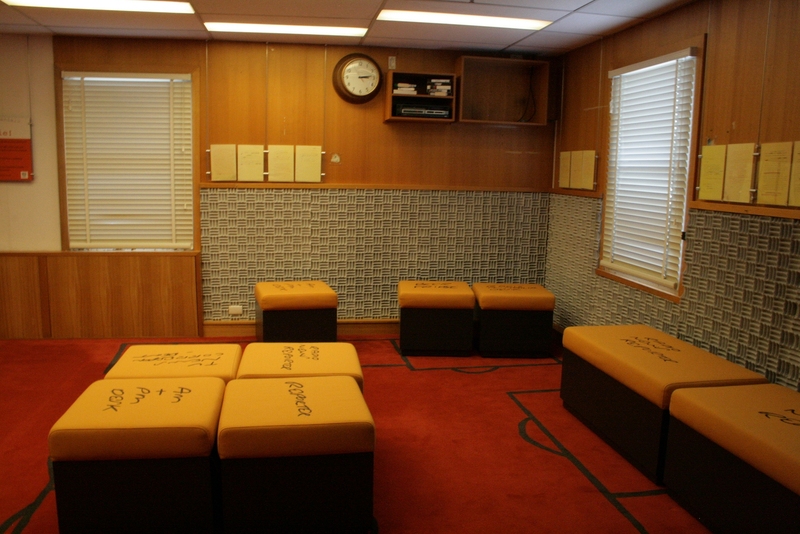 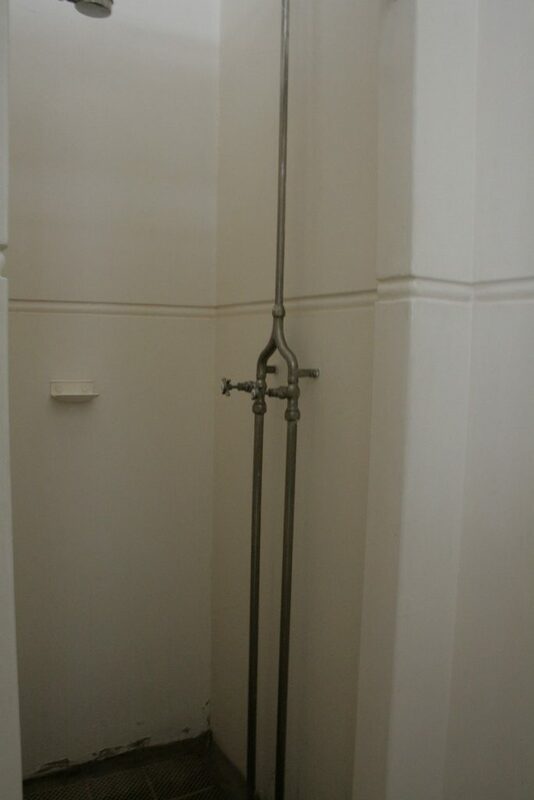 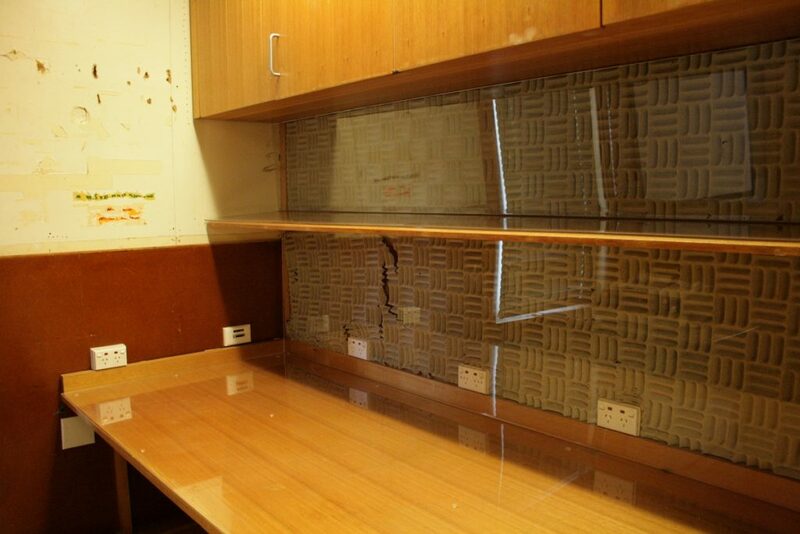 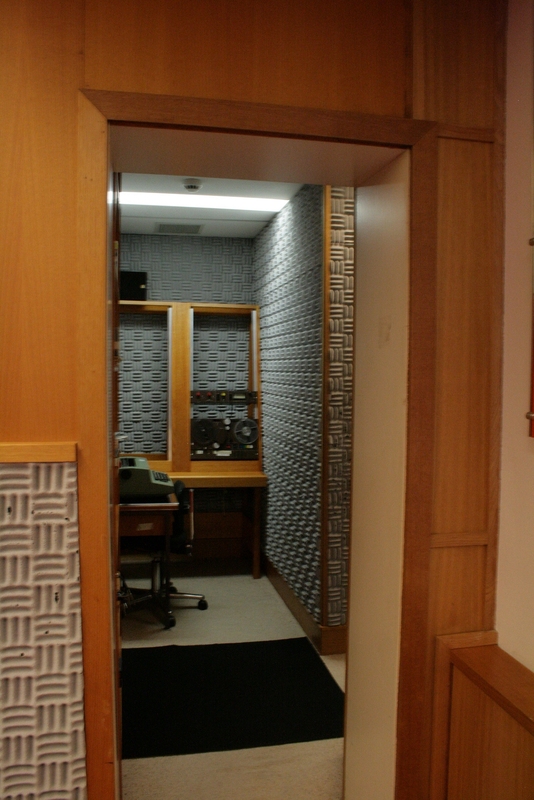 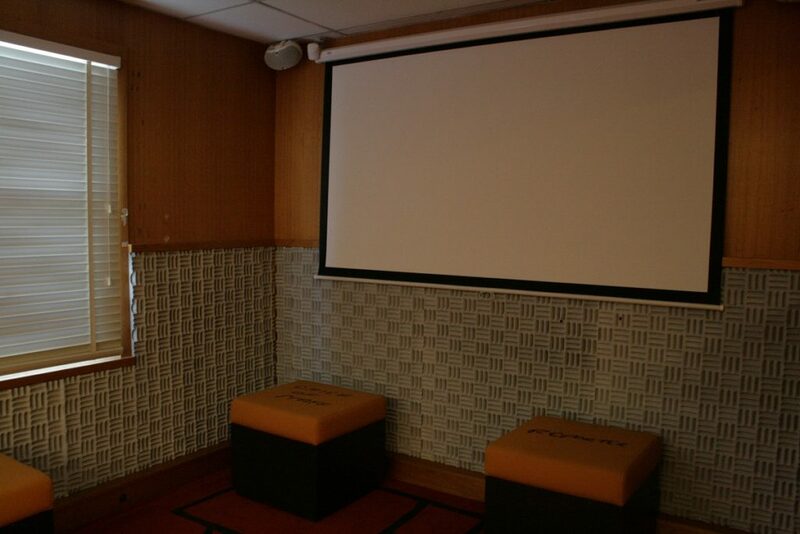 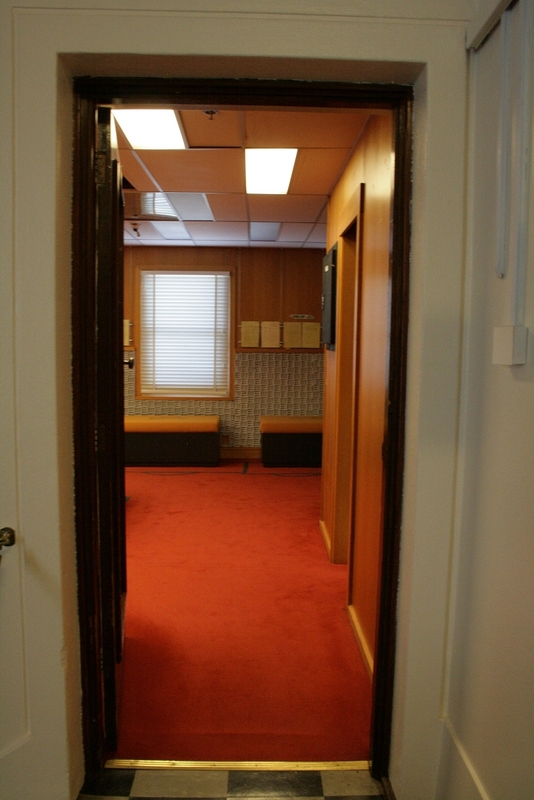 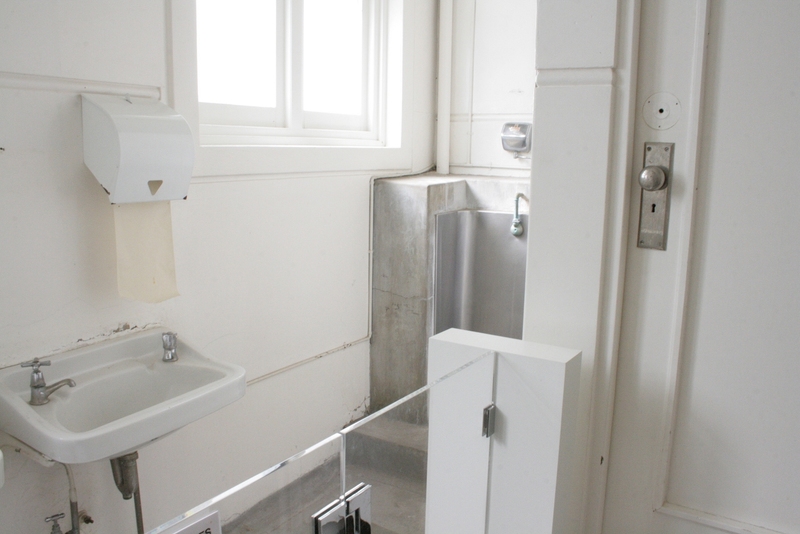 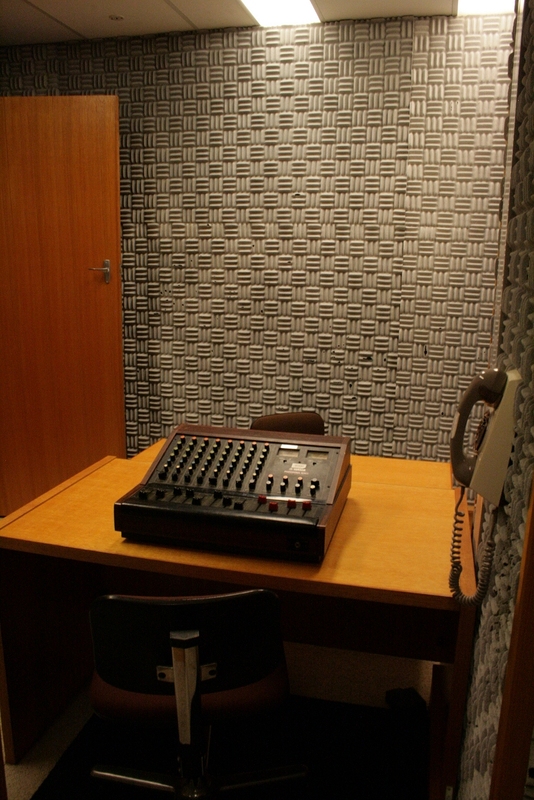 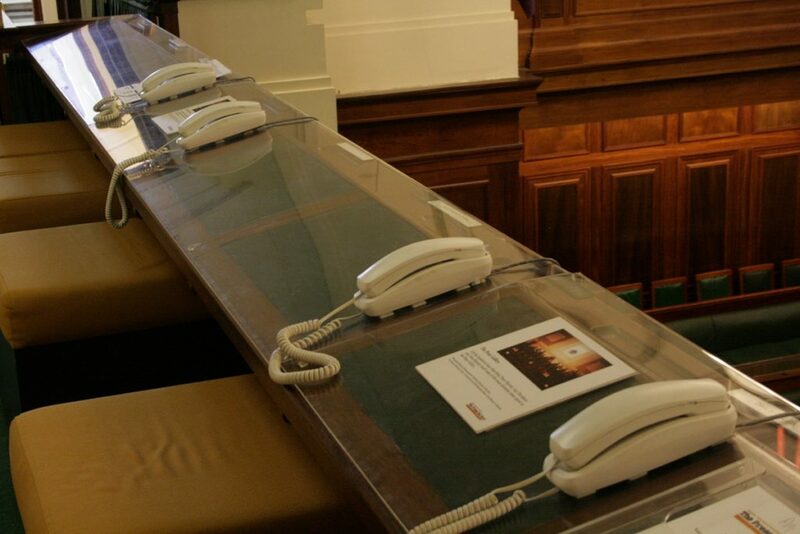 Interview room (used 1983-88 by ABC radio news & current affairs journalists, says a nearby panel). 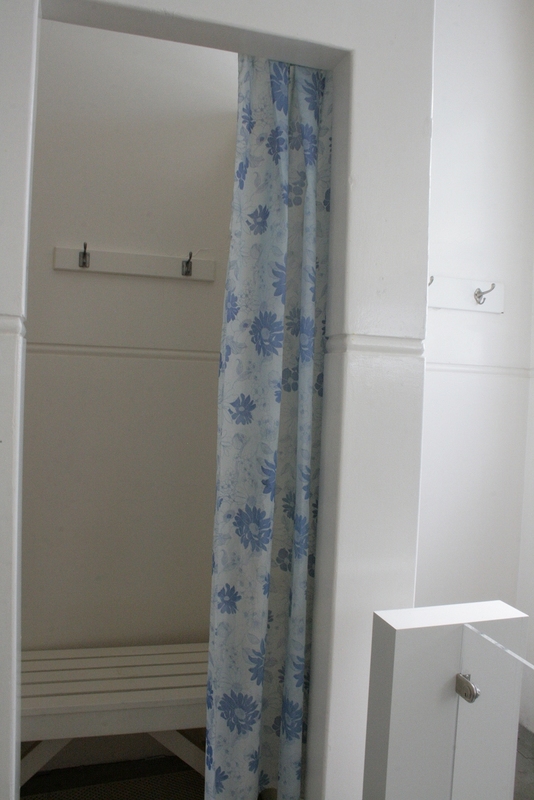 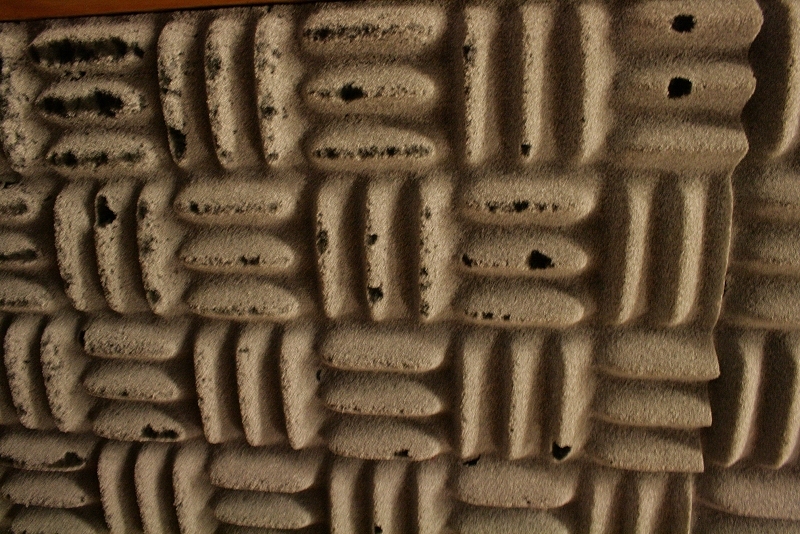 Wall covering, for sound proofing I assume. 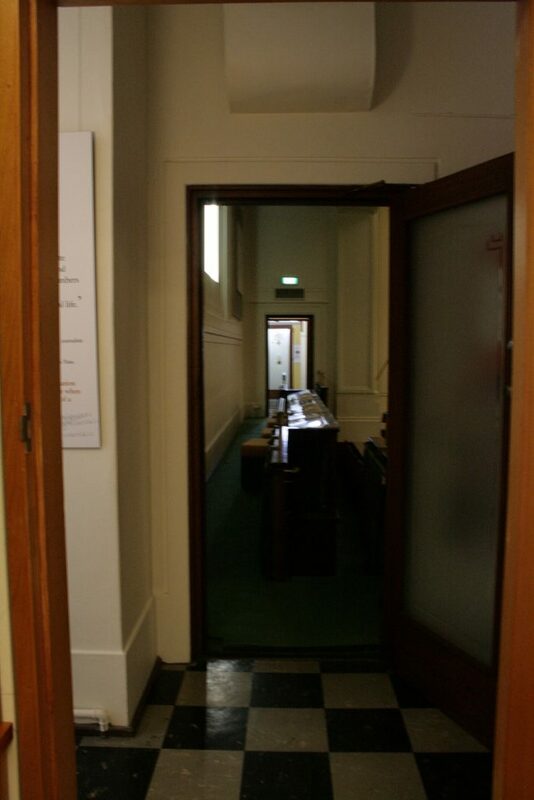 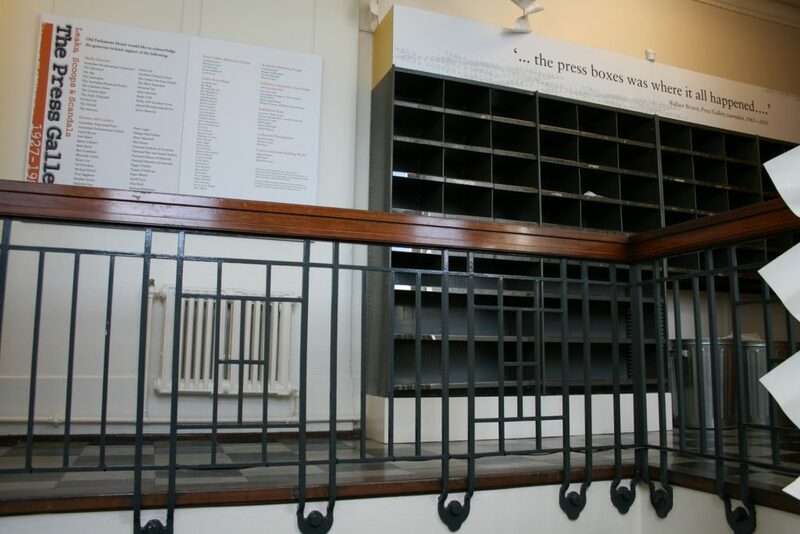 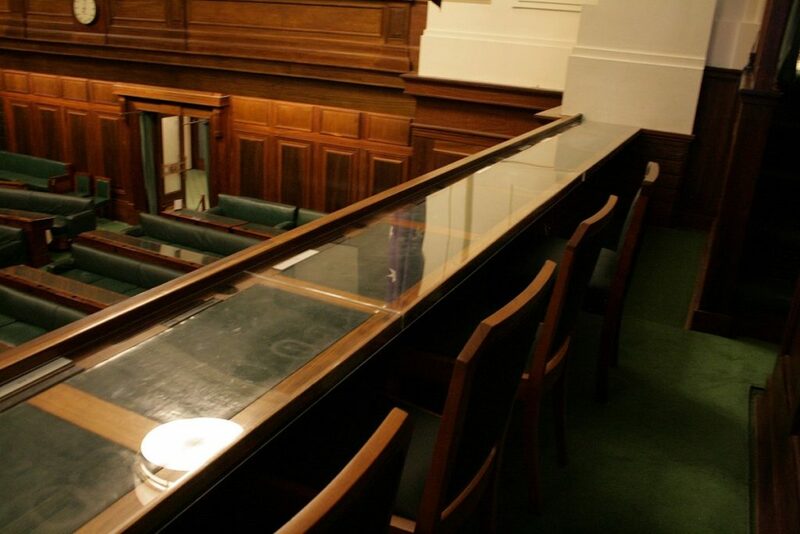 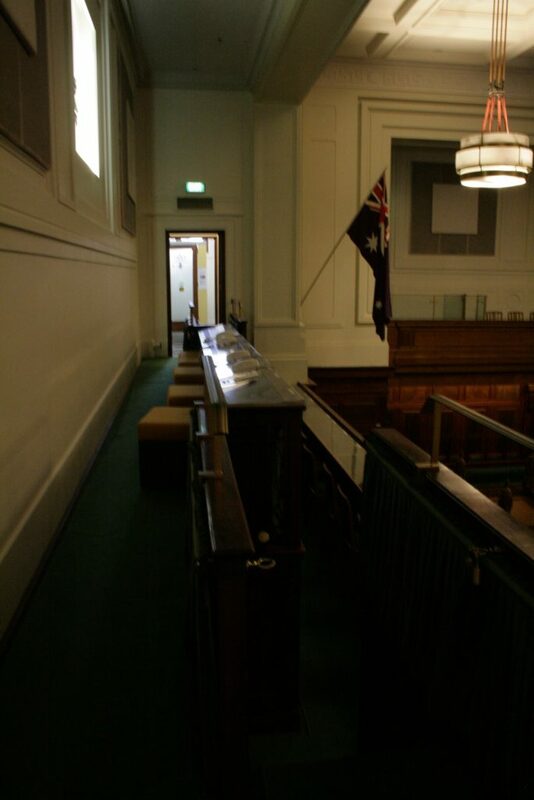 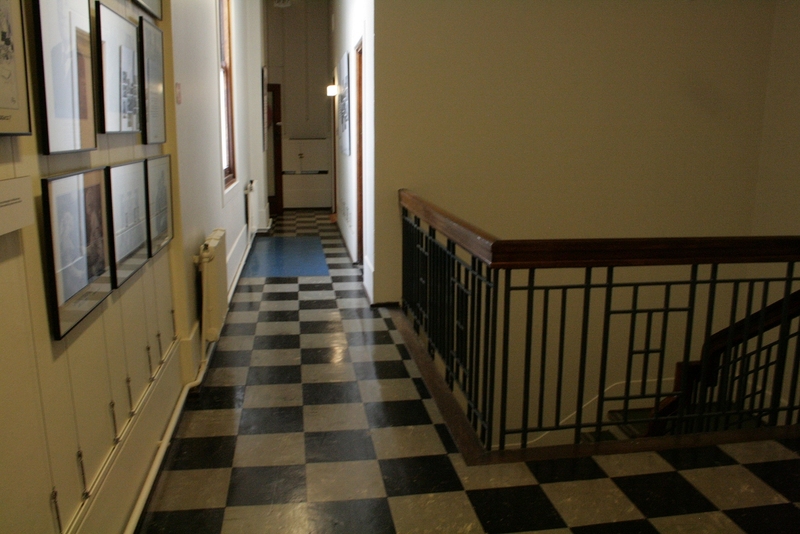 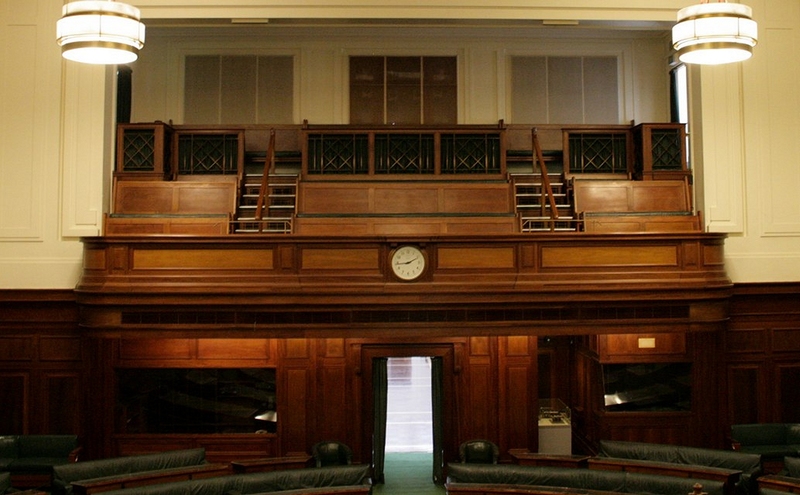 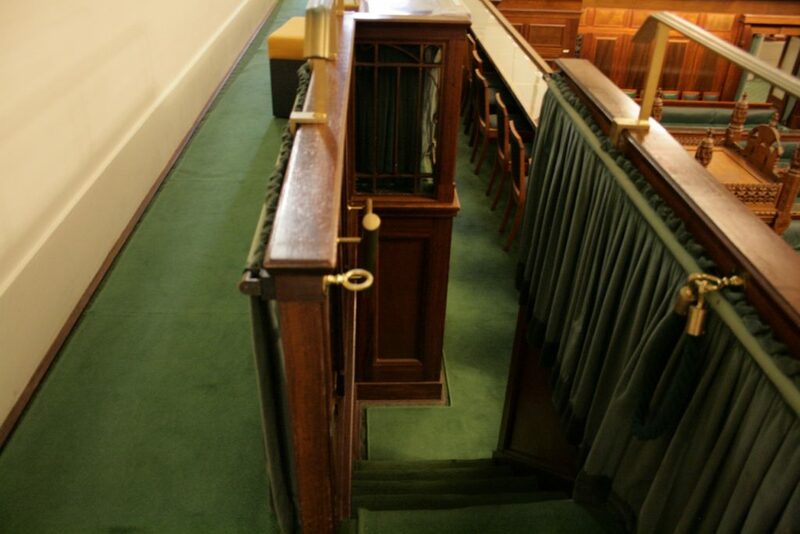 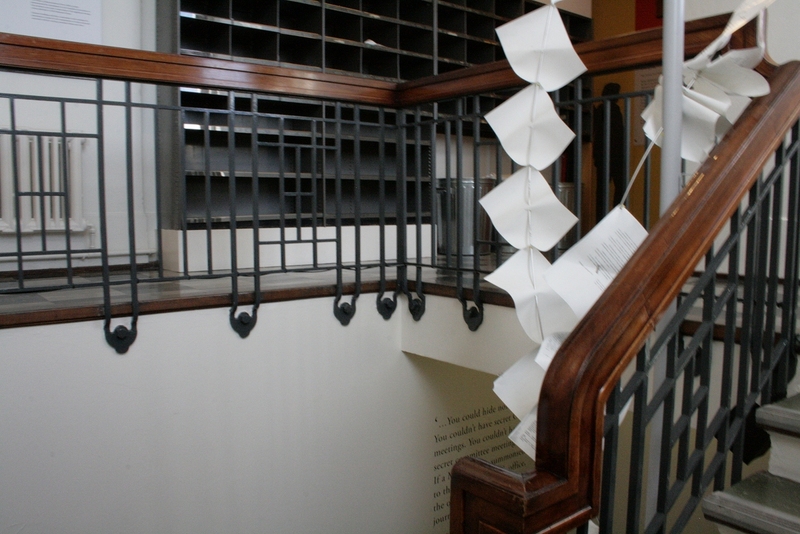 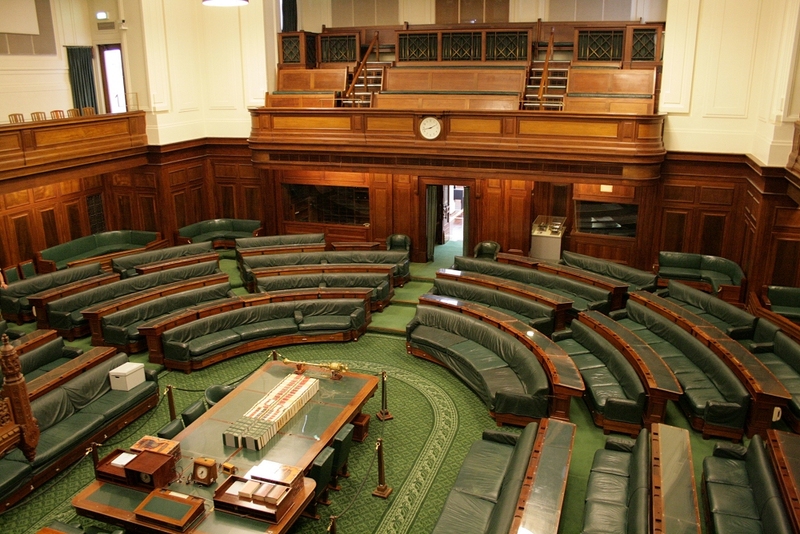 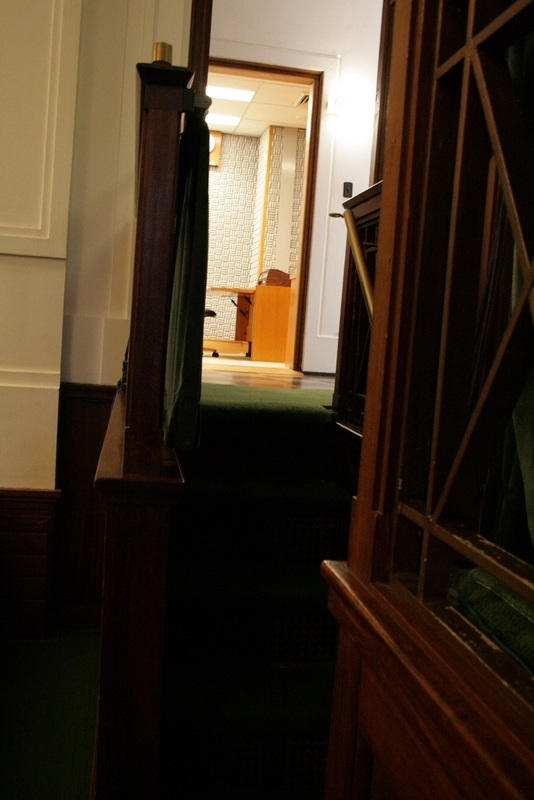 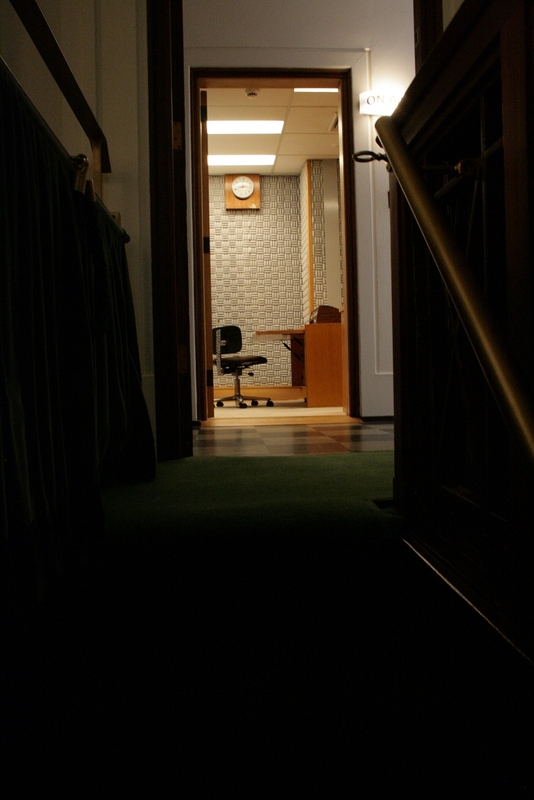 The gallery overlooks the House of Representatives chamber (shown in next two photos).